Olympic city together with Barcelona. It is accessed from Almeria, taking the N-340 to the junction of Tabernas, and at that point the a-349 to Olula del Río, continuing on the A-334 towards Baza. You can also take the A-92, detour direction Albox; or from Baza in that same direction. 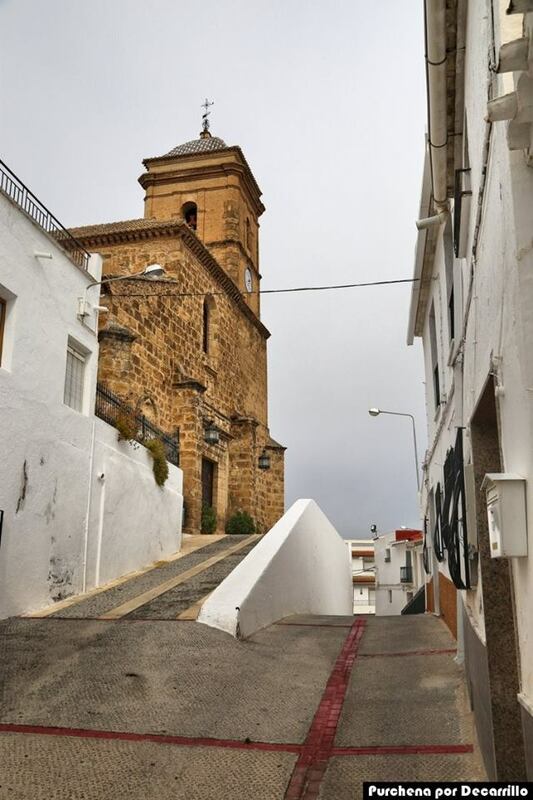 Purchena, due to its privileged geographic location on the right bank of the Almanzora River, has been the main historical, administrative and cultural center of this region. The most important events in the history of Spain have been echoed in the daily life of Purchena, being perhaps the most prominent of them its constitution as capital of the kingdom instituted by the Moorish rebel Muley Muhammad Aben Humeya, at war against Christians and power of the crown of Castile. Purchena was the center of military and political operations in this contest. The king of the levantiscos, Abén Humeya, ordered to organize some games and parties, evoking the Arab-Andalusian culture that was about to succumb. These games, with increasing splendor, have recovered today as an element of union and coexistence between cultures, a link that binds tradition to the ancient world with modernity. The most significant monuments of Purchena are the Church of San Ginés (1550), the Alcazaba, the old Nasrid citadel, the Water Tower and the Hermitage of the Virgen del Carmen. Another place of interest is the Archaeological Museum, where marble tombstones, vases and very varied objects from the Muslim period are kept. Among the many popular festivities that are celebrated in Purchena, we highlight the Moriscos Games of Abén Humeya, which take place in the Plaza during the third week of August and in which the first games installed by the Moorish king are staged faithfully. They consist of the traditional ribbon race to continue sports of clear Olympic descent such as wrestling, stone lifting, racing, archery, triple jump, singing and sling shooting. All these tests admit the participation of athletes from both shores of the Mediterranean. Parallel to the games, music, singing, dance and gastronomy competitions are held. The Burning of Doll, which takes place on Ash Wednesday, is a festival of pagan origin and great anthropological interest. As mayor of Purchena it is an honor for me to welcome all those who decide to discover the wonders of our people through this website. 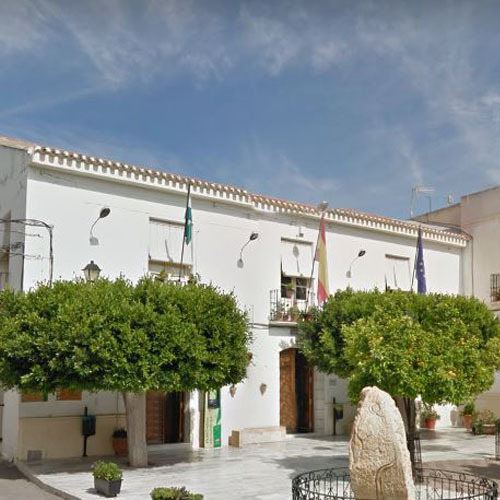 Visiting the municipality of Purchena is an experience steeped in centuries of history ..
Capital of the Almanzora River during the period of Al-Andalus and founded, according to the chronicles, by the last emir of Córdoba Abdalah around 900 with the name of Hins Burxana. There are settlements from the Copper Age, such as Churuletes and Roman times. Some villas have been found in the Onegas area. When it really will acquire importance Purchena will be in the period of Al-Andalus. It will become the center of its region replacing the rebel Husun ​​Summuntan (Somontín) after its destruction. Its importance was such that in the year 985 it was visited by Almanzor. Of this period poets or doctors like Abu Berkr Ibn Thofail stand out who became secretary of the Almohad sultan Abd al-Mumin. With the Christian conquest, after the capture of Baza in 1489, the capital of Almanzora will be delivered with all its region but, his warden Ibrahim Abenidir stood out by refusing to accept the gifts of the Catholic Monarchs and depart to Africa with his people and servants fact that Antonio Gala collects in his work The Carmesí manuscript. After the delivery is granted in señorío to the dukedom of Medinaceli and as of 1501 will be place of realengo. 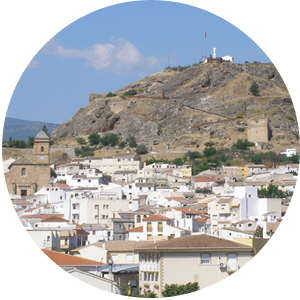 During the War of the Alpujarras (1568-1570), in the summer of 1569, Aben Humeya, leader of the Moorish rebellion, turned it into the capital of the uprising of the Moors and held athletic, musical and dance competitions in which Moriscos will participate in the ancient Kingdom of Granada and North Africa. 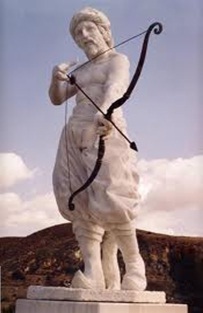 In 1993, the recovery of these Morisco Games started, which are currently held annually during the month of August and according to Juan A. Samaranch’s words: “Aben Humeya’s Moorish games involve remaking a missing link in the chain between Olympic Games of Antiquity and the modern world “. These games have been declared of National Tourist Interest by the Ministry of Tourism and Sports. For a week the town of Purchena travels back in time and recovers all the Andalusian traditions: clothing, gastronomy, folklore, handicrafts, sports; being at the same time a meeting place for many visitors from the Maghreb countries. After the war and the expulsion of the Moors from the Kingdom of Granada, Purchena will fall into a dream until its awakening in the second half of the nineteenth century with the exploitation of iron and mercury mines, the cultivation of the Ohanes grape and the construction of the railroad in 1890. The 20th century will be another period of decline, especially after the Civil War, when Purchena sees its population divided by half due to emigration. The decade of the nineties represents a new resurgence for this town. From 1993 it becomes one of the venues of the Summer Courses of the Complutense University. The cultivation of the grape is replaced by the orange tree, vine and olive tree. The exploitation of marble quarries and their industrial development begins, as well as vegetable preserves and ham drying, among other activities. Ibn Aiyas al Tuyibi, poet. 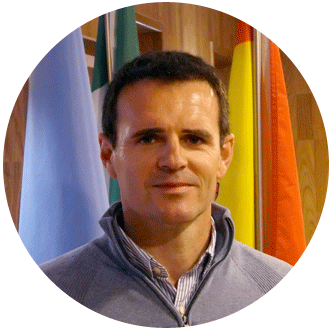 Gustavo Villapalos, rector and mayor of Madrid. The gastronomy is representative of the rich cuisine of Andalusia and Almeria. 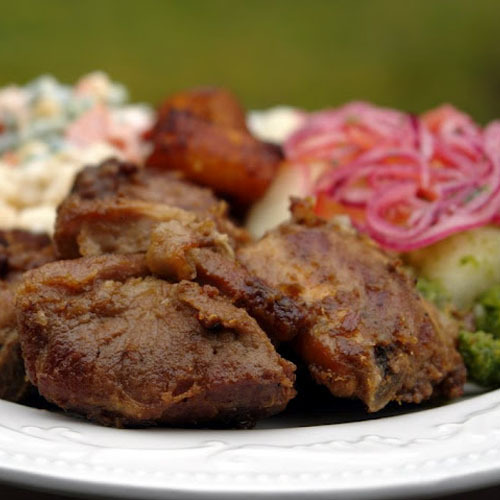 Among the typical dishes we should mention the wheat pot, the porridge (with milk or broth paprika) and wheat crumbs, the rabbit or pork fry. An activity that is tried not to lose is the ritual of killing, which is done before Christmas. In it, they usually eat the crumbs with slices, and they make sausages and fried pork rinds for dessert. At Christmas, homemade shortbread and shortbread cakes are typical. For Lent we have the cod meatballs or the cobbled (rice with cod and beans). 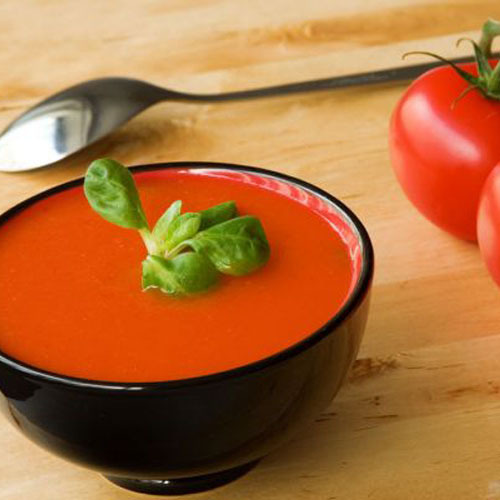 In the summer it is customary to make gazpacho and roasted salad (pepper and roasted tomato, salt, olive oil, olives and cumin). Likewise, as dessert we eat prickly pears, figs, grapes and melons that produce our fields in abundance. 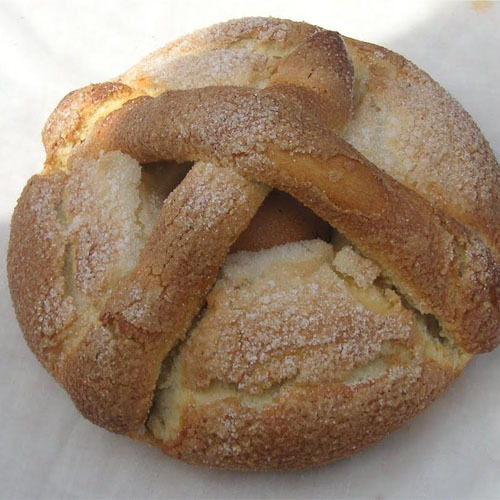 As desserts, we must highlight the aforementioned hornazos de San Marcos, the drunks, the fritters and fried donuts that are usually made during Holy Week. Among the liquors it is necessary to mention the good wines of the country, the mistela, a homemade liquor that is made with grape must and brandy and the “cuerva”, species of traditional sangria of the municipality. The Holy Week of Purchena is famous in the region for its excellent, life-size images, highlighting some like the one of Padre Jesús, a replica of that of Salzillo de Murcia. Between his steps they emphasize the procession of the Passion, the Santo Entierro and the one of Resurrection. In the latter the costaleros run and dance to San Juan after the encounter with the risen Jesus. On the night of the Sabbath of Glory it is customary for young people to place their pretended orange branches in their windows. If we had to highlight other folkloric aspects, we should talk about “Lumbres” that are made on Saint Lucia day, December 13, and Carnival with the “burning of the doll”, Ash Wednesday. The burning of the doll, original and unique tradition in the region, is in Purchena what in other places the burial of the sardine, symbolism that represents the end and end of the carnival. Other parties (once important), but that are not performed today are: the Chinico de las Ánimas, the dances and bids of souls and bonuses. The party of the hunter consisting of walking in donkey through the streets of the village, followed by the chiquillería, the hunter or hunters that less partridges have killed during the hunting season, is also being recovered by the Society of Hunters. A typical spring festival is that of San Marcos, April 25, known in the town as “Pattern of the puddles”, because it is rare that it does not rain for that day. On that date the picnic is taken out to the countryside, mainly to the place of Gevas to taste, among other products, the hornazos that are made with this motive. San Ginés de la Jara is the Patron of Purchena and is celebrated on August 25. Around that day and for almost a week, the major celebrations of Purchena are celebrated. The most noteworthy are its dances of verbena, which lasted until dawn and the reunion of many families who separated during the years of emigration. Las Cruces de Mayo is one of the “minor” traditions of Purchena, but they do not lose their popular flavor and idiosyncrasy. On July 16, the celebrations of the patron saint, the Virgen del Carmen, are celebrated, during which local women watch the Virgin for a night. He is also honored by celebrating various acts and several nights of verbena in the square. At the end of August, the Pilgrimage of the Virgen del Carmen takes place until its hermitage of the Cerro de la Alcazaba, in a popular festival, full of color, where it is traditional that pilgrims and rompers, dressed in the typical costume of the town, sing and dance the Fandanguillo de Purchena. As a prelude to the San Ginés festivities, Aben Humeya’s Moorish Games are celebrated and for five days recreate the athletic and musical tests that the Moorish king did in the town in 1569. Such tests are: wrestling, weight lifting , bricks support, speed race, triple jump, singing, sling, archery, dance and singing. They are days full of color and hustle in which people dress with djellaba and costumes of the time, Andalusian folkloric shows, horse racing, etc. take place. This event has been declared of National Tourist Interest by the Junta de Andalucía. The stations, such as the old railway station of Purchena, have progressively acquired a historical, sociological and aesthetic importance that surpasses its simple technical function. They are, like the railway itself, one of the characteristic elements of the industrial and urban development of the Almanzora Valley. The El Lavadero Cultural Center is a building reconstructed from an old public laundry, rehabilitated by the consistory and the Casa de Oficios Almanzora Integra, with a great attraction for lovers of archeology; the archaeological remains of the city of Purchena, ceded by the City Council of the town. 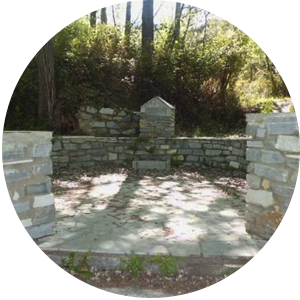 It should be remembered that the town is one of the most important historical enclaves of the Almanzora Valley. 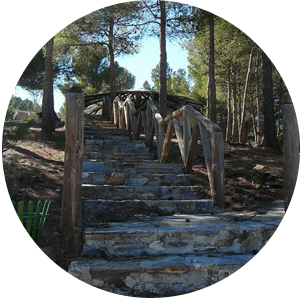 Located in the shade of Sierra de Filabres in the municipality of Purchena, the main mountain massif of Almeria and one of the largest in Andalusia, which extends from East to West with an approximate area of ​​150,000 hectares and an average height of 1,500 m, with its highest point in Calar Alto (2,168 m). Geologically it is framed within the internal zone of the Bética Mountain Ranges, forming the main dividing barrier that separates the two most important hydrographic basins of the province: that of the Andarax and Almanzora rivers. 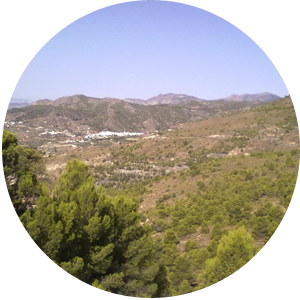 From this viewpoint there are ample views of the Almanzora valley, located between the Sierras de Filabres, Estancias and Lúcar. 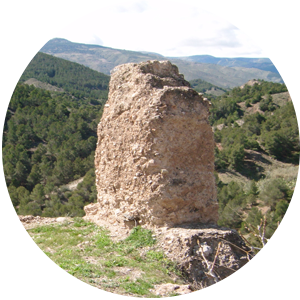 This valley has always been a frontier zone and the oldest known route that linked the Mediterranean with the Guadalquivir valley and as a result of that border situation are today divided by the region, remains of walls, cisterns and watchtowers, silent witnesses of the different civilizations that occupied these lands throughout history. The Alcazaba de Purchena, began to be built in the year 888, by the Marines of the Federative State of Pechina, and reached its maximum splendor in the Nasrid era. The last Muslim warden of the castle, Ibrahim Abenedir, proudly defended the city, without selling it to the kings, as did others of his peers. There are hardly any remains of the Alcazaba de Purchena, in which Aben Humeya took refuge with his troops. Today there are only remains of houses, a cistern, a bath, the wall and a tower, known as Torre del Agua, which is a magnificent work of hydraulic engineering, since in its interior it has a reservoir of drinking water, which made of the town an almost impregnable place. Originally this tower had more than thirteen meters of height, but today only half of the structure is conserved, in spite of the restoration made in 1997. There are also remains of funeral constructions from the Bronze Age, almost disappeared, there are only a few vestiges. In the area called the Watchtower, in the vicinity of the town, stood a lookout tower also from the Nasrid period. If you are thinking about taking a different trip to discover beautiful places and charming towns that are not usually well known, a trip to Purchena is an excellent option. Our town has many options to make and we recommend the ones that are sure to be of your interest. What to do in Purchena?